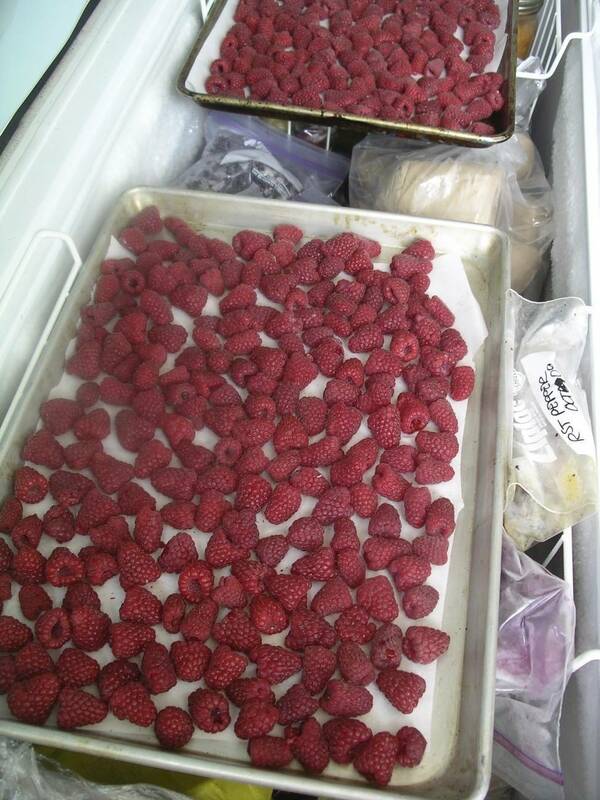 How best to freeze the summer bounty of fresh berries for the drab berry-less winter? 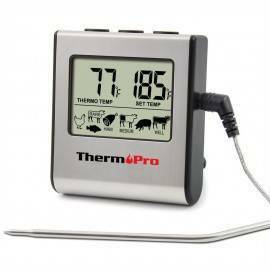 You need to know how do this now, whether it is for the flat of strawberries you bought in a frenzy of buyer’s excitement, or for the raspberries that your backyard canes are producing like crazy. 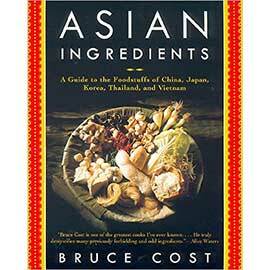 This is really cheap, and quite easy, and very tasty. 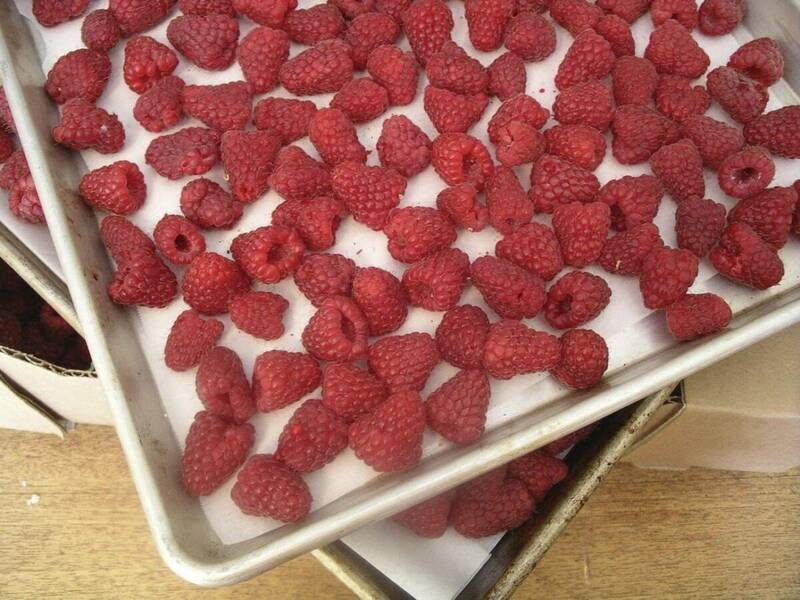 Fresh berries are seasonal, plentiful, and inexpensive in the summertime, so buy buy buy. Now is the perfect time to load up and store away for the winter. 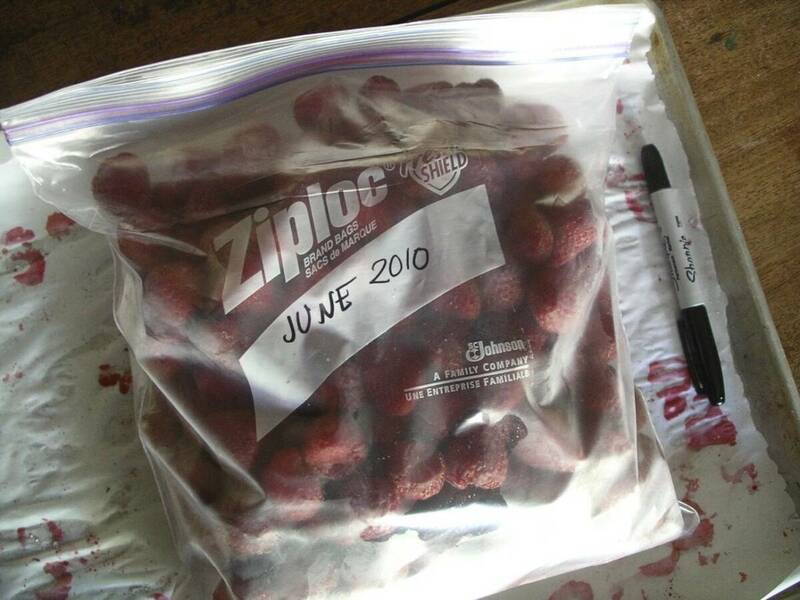 And there is a great berry-freezing method to know about. First of all, unless you are talking blueberries (the very easiest berries to freeze! 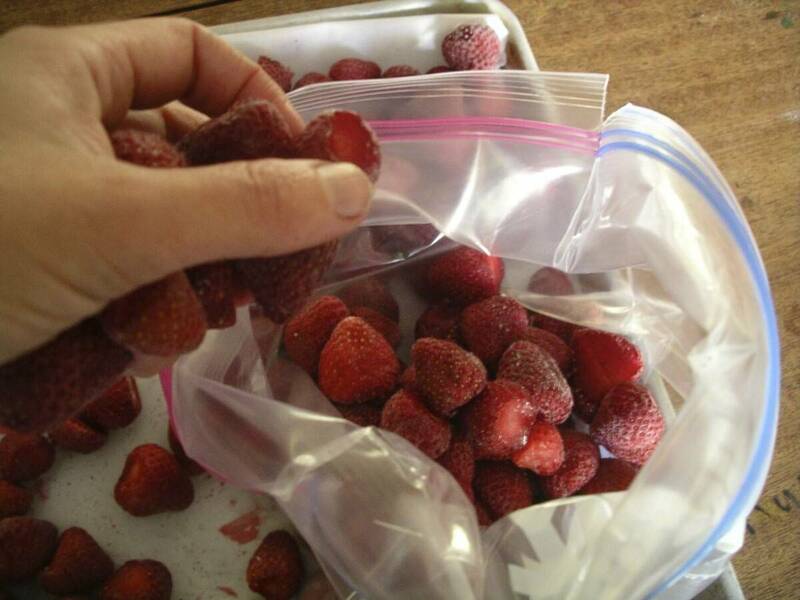 ), you cannot pour fresh berries into a ziplock and freeze. Unfortunately. The pour and freeze method is guaranteed to turn your berries into a big block of frozenness, not very useful for the smoothies and muffins of the future. 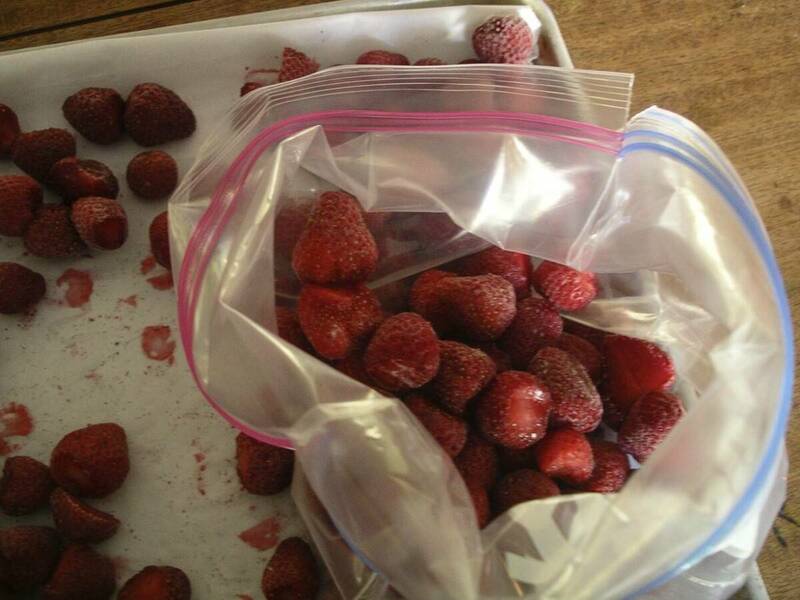 Berries must first be frozen in a single layer on a tray until firm, and then poured into a ziplock bag and frozen. 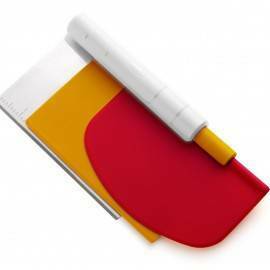 It is helpful to first line your trays with parchment paper, to make for easy removal of the frozen berries. Also, strawberries need to have their stems removed. I like to cut the larger strawberries in half while I am at it. Other than that, there is nothing to it! A winter of berry glory awaits! YUM. I’m pretty sure I still have a bag of plums in my freezer, unlabeled, and all frozen together in one massive block that requires very skilled knife work to extract some chunks… I think I’ll try your technique this year!